Lieb | Have kids, they said. It'll be fun, they said. Well, now – this is a bit exciting. 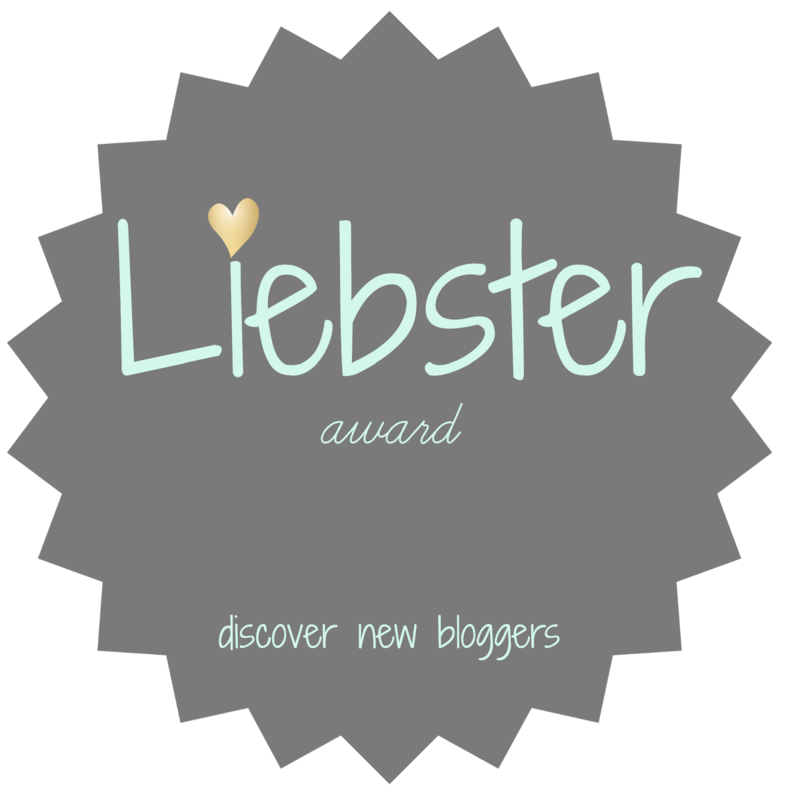 Sitting on my computer at 11:36pm after ninja-sneaking out of BabyGirl’s bedroom for the umpteenth time (ok, I’m lying – I just got home for a late night shopping trip (yay Christmas) so it has technically been Mr T doing the settling all evening) and I discover that I’ve been nominated for a Liebster Award! A quickie search courtesy of Mr Google tells me that this is an award passed around the blogging community (the big ol’ interweb) to recognise up-and-coming bloggers and to introduce people to different blogs. Yay me. Big thanks to Nicole over at mariella & me for the nomination! 1. I’d you could have something right now, tangible or not, what would it be? You know, I want to say something really meaningful, but truth be told, I want chocolate. And I could get it too, if I walked the long three metres to the fridge. Sigh. My family. My kids and my husband (naaaaw). My awesome friends and … well, just my life. I mean, it could be a lot worse! 3. What is something you hate to talk about? No, really. It’s funny, I suppose – there are a few things I hate to talk about (like, I knot in my stomach just thinking about them), and I’ve typed and deleted a couple of them here but, quite simply, I don’t want to talk about them! 4. What is your one biggest regret? As a *general* rule I try not to have regrets, because I figure, things wouldn’t be the way they are today if I had done things differently in years gone by. We make mistakes and we learn from them, and that is what makes us who we are! It’s called “Growing Up Twice”, it was the first “chicklit” I ever read, the first book that made me laugh out loud, and sob like a baby. I re-read it every few years. 6. If you could tell your 16 year old self something, anything, what would it be? Relax, it’s not that big of a deal. Nothing is as dramatic as you think it will be when you are 16. Chill out and enjoy life. Things happen when they happen! 7. Why do you blog? For who? I began blogging for myself – I used it as a release from the hectic goings-on in my life. Now, I still blog for myself, but also for people out there in a similar boat to me – to let people know they aren’t alone. 8. What one thing about your house/living situation would you like to change? Another bedroom would be awesome! 9. What is your favorite memory as a child? Playing with my sisters. Amidst the fighting and bickering, we actually had a pretty wicked upbringing. Thanks, Mum and Dad! 10. What are three goals you have for 2015? Continue blogging, maintain my health and fitness (she says as she pigs out on chocolate) and enjoy my family – less stress about the small stuff! 11. What are you most proud of (aside from your kids!)? This blog. I’m really, genuinely proud of it. I enjoy it and I love getting feedback from people who enjoy it too. It’s something I never considered doing in the past, and it was one of the best decisions I’ve ever made. 1. I can NOT handle soggy things. Bread. Cookies. No. Just, no. I literally gag if I touch soggy bread. Ugh. 2. I have three sisters and one step-sister. 3. I collect M&M memorabilia. Not to be confused with Eminem memorabilia. 4. I love to bake. 5. My “other” job is being a Wedding Celebrant, which I adore. 6. I had a cuddly toy monkey (that looked a lot like a sheep) called Cuddles who I slept with until I was well into my teen years. I offered him to Princess to sleep with the other night, she looked horrified and asked me to put the scary sheep back into the cupboard. I may or may not have slept with Cuddles that night. 7. I always wanted kids. Regardless of what my career aspirations were growing up, being a Mother was a given. 8. I have been married twice – my first marriage lasted 11 months. I was 22. 9. I do not like my toes. Or my eyebrows. Needless to say, these are two things I always notice about other people. 10. Further to #9, I was born with a monobrow. Thankfully years and years of plucking and tweezing have killed any shred of hair between my now-wonderfully shaped eyebrows. I was very glad that none of my kids were born with monobrows, I won’t lie. 11. My little fingers are crooked – the look like they’ve been broken but they haven’t. Apparently it’s a trait in people who like to help others. Two of my children also have them. And now, for my nominations! And, what do you do? 1. What is your favourite food to eat? And, your favourite food to cook? 2. If you could wake up tomorrow and have one thing different about yourself personally, what would it be? 3. What are three interesting things that happened to you in 2014? 4. What are three interesting things you hope to happen to you in 2015? 5. What is your favourite season, and why? 6. What (aside from your kids) makes you happy inside? 8. Who do you hope will one day stumble upon your blog? 9. If you could meet one person, real or fictional, who would you chose? And what would you say to them? 10. You have one million dollars – how would you spend it? 11. Ketchup/Tomato Sauce – in the refridgerator or in the cupboard?